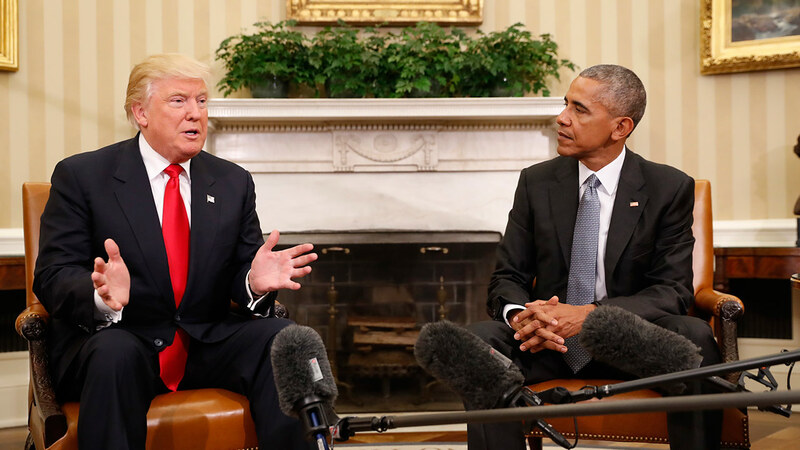 WASHINGTON -- President Barack Obama warned Donald Trump against hiring Michael Flynn as national security adviser during an Oval Office meeting after the 2016 election, according to three former Obama administration officials. The information on Monday, from officials who requested anonymity in order to disclose the private conversation, came hours before former acting Attorney General Sally Yates was to testify to Congress about concerns she raised to the Trump administration about contacts between Flynn and Russia. The highly anticipated hearing - it is Yates' first appearance on Capitol Hill since her firing - before a Senate panel investigating Russian interference in the presidential election is expected to fill in basic details in the chain of events that led to Flynn's ouster in the early weeks of the Trump administration. Word that Obama directly warned Trump suggests that concern over Flynn's possible appointment spread to the highest level of government months before the official's departure. Trump moved to distance himself from his former adviser's troubles Monday, tweeting that it was the Obama administration that gave Flynn "the highest security clearance" when he worked at the Pentagon. Trump made no mention of the fact that Flynn was fired by the Obama administration in 2014. In a second tweet, Trump said Yates should be asked under oath "if she knows how classified information got into the newspapers" soon after she raised concerns about Flynn with White House counsel Don McGahn on Jan. 26. Yates is expected to testify that she warned McGahn that Flynn's contacts - and the discrepancies between what the White House said happened on the calls and what actually occurred - had left him in a compromised position, according to a person familiar with her expected statements. The person was not authorized to discuss the testimony by name and requested anonymity. White House officials have said publicly that Yates merely wanted to give them a "heads-up" about Flynn's Russian contacts, but Yates is likely to testify that she expressed alarm to the White House about the incidents, according to the person. Trump has said he has no ties to Russia and isn't aware of any involvement by his aides in Moscow's interference in the election. He's dismissed FBI and congressional investigations into his campaign's possible ties to the election meddling as a "hoax" driven by Democrats bitter over losing the White House. He's also accused Obama officials of illegally leaking classified information about Flynn's contacts with Kislyak. Also scheduled to testify is former National Intelligence Director James Clapper, who attracted attention for a March television interview in which he said that he had seen no evidence of collusion between the Trump campaign and Russia at the time he left government in January. Republicans have seized on that statement as vindication for the Trump campaign, but investigations are ongoing. The Associated Press meanwhile reported last week that one sign taken as a warning by Obama administration officials about Flynn's contacts with Kislyak was a request by a member of Trump's own transition team made to national security officials in the Obama White House for the classified CIA profile of Kislyak. The revelation came after interviews with a host of former U.S. officials, most of whom spoke on the condition of anonymity in order to discuss sensitive national security information. Yates' warning about Flynn in January capped weeks of building concern among top Obama officials, former officials told the AP. President Obama himself that month told one of his closest advisers that the FBI, which by then had been investigating Trump associates' possible ties to Russia for about six months, seemed particularly focused on Flynn. Yates, a longtime federal prosecutor and Obama administration holdover, was fired Jan. 31 by Trump after refusing to defend the administration's travel ban. She had been scheduled to appear in March before the House intelligence committee, but that hearing was canceled. The subcommittee meeting Monday is one of three congressional probes into the Russia interference, along with House and Senate intelligence panels. All the committees are led by Republicans. Sen. Lindsey Graham, a South Carolina Republican and chair of the Senate Judiciary crime and terrorism subcommittee, has been outspoken about Russia's interference in the 2016 election and has called for a stronger U.S. response than the sanctions currently levied. Graham and top Democrat Sheldon Whitehouse of Rhode Island promised a bipartisan probe, but last week it was revealed that Graham independently invited Rice to testify, without Whitehouse's sign-on. Rice, a longtime target of Republicans, declined because her attorney said the invitation came late and without bipartisan consent.